Meet you at the GPOP banner? Yes, we have a new banner! It’s just one more example of how our association continues to grow and mature. 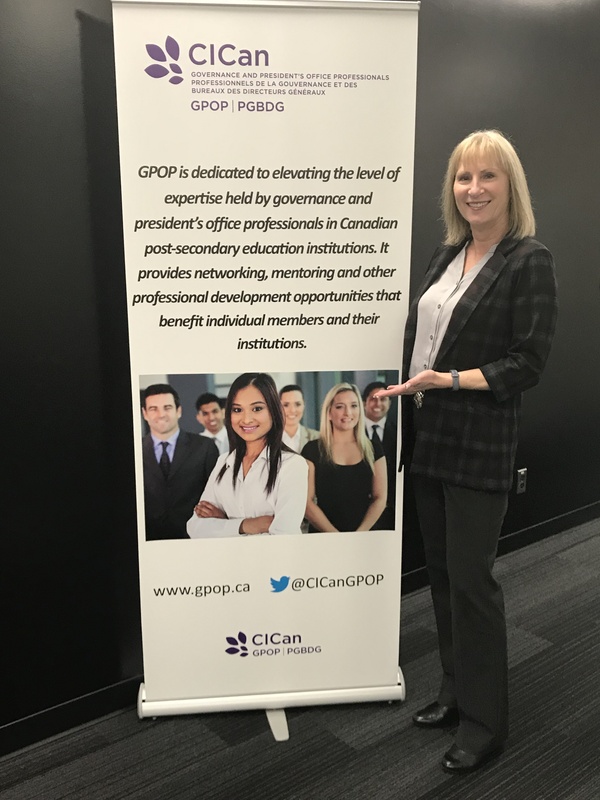 Developed for use at GPOP conferences and promotional events, the retractable stand-up banner will add a professional touch to our gatherings. It will be perfect for welcoming delegates to our annual conference and AGM, providing a backdrop for photo opportunities, and advertising our presence. The banner will make its debut at the 2018 GPOP conference and AGM in Victoria, BC on April 28/29 (details to follow soon). Meet you at the banner? This looks great! Thanks, Laureen, to you and our Membership & Communications Committee for designing and acquiring the banner. Now, new and returning members alike will be able to readily spot fellow GPOP members at events.